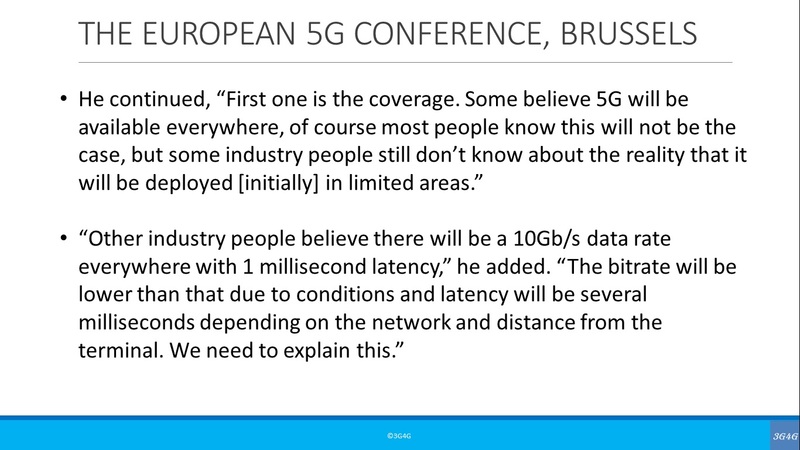 News based on a panel discussion at the European 5G Conference in Brussels, Jan 22-23, 2019. At this conference, Takehiro Nakamura, SVP of 5G labs at Japanese operator NTT Docomo, highlighted the importance of setting realistic expectations for new network technologies and the continued pivotal role of LTE. Copyright �04-2019 3G4G.CO.UK. All rights reserved.